If your young person is starting school in 2017 give them a boost along the road to reading with our range of interactive reading games. They cater for older kids too. Library members have access to 5 different gaming options, all of which have a variety of ways to engage young minds and have them learn the basics of reading whilst having fun. Quickly and simply engage small children with an educational interactive online game. Heads Up: Most of these require Adobe Flash player to open the books. To be able to use them on iPhones, Androids and all tablets, install the browser called Puffin and use that to access. This browser bypasses the need for Adobe Flash player. It is bright and exciting from the first minute. Even waiting for the games to load is designed to keep a small person interested! In2Era - Picture books online helps children develop literacy and a love of books. It has 2 levels catering for preschool to year 6. The preschool to year 2 section has 190 books, over 12 different catagories eg. puppet plays, make & do, Australian Curriculum English. Caters for the Preschool to Year 2 reading level. Children can read the story or listen while it is read to them. 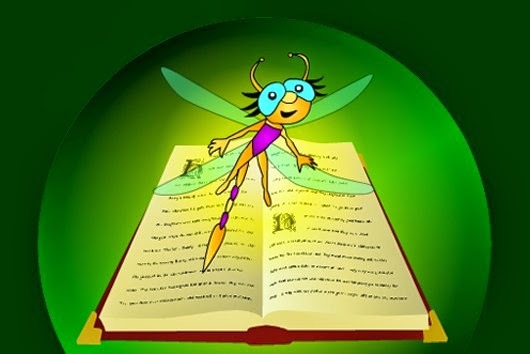 There are activities associated with each story, drawing and picture creation as well as quizzes. Each title is given a short synopsis and is given a reading age. Books look like books and each 'page' needs to be turned, just like the real thing! Pre-Reading, Phonics, Reading, Vocabulary, Spelling, Grammar & Comprehension very comprehensively. This is one where parental involvement is essential, create an account and then download the app. Progress can be tracked and points earned which are needed to play in the Arcade. So don't forget the books, they can be enjoyed without having to do any work.!!! Competitive children will love this. 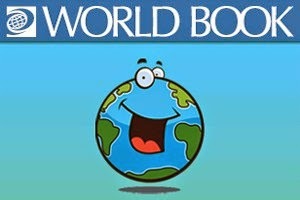 World Book - Early World of Learning has three learning environments. Each targets a critical area of the development of young learners in early elementary grades. Trek’s Travels offers narrated stories, interactive games, and original videos that work with numbers, shapes, colours, opposites, and more. Welcome to Reading provides graded reading practice to develop and strengthen phonics, vocabulary, phonemic awareness, and comprehension skills. Know It is a first online encyclopedia. It provides a richly visual interactive encyclopedia that will captivate early learners with nonfiction topics of interest and importance to them. As well as books there are songs, videos, games and activities, all graded by reading level. Programmed to read aloud the various options as the mouse runs over them, so it is easy for non-readers to use. Find these games and other activities for Kids & Parents under Services.